Well, it’s official, after a months of planning and implementing, Harley officially moved from Exchange Server 2003 to Google Apps for Education. I chose to do the final switch on a Monday morning (August 11) so I could be there to help people and put out any fires the sprung up. I was totally amazed at the lack of an angry mob banging on my office door. I did my best to warn people and prepare them as best I could and I guess it worked pretty well. I took care of just about everything myself. The users had only one thing to do: change their passwords. 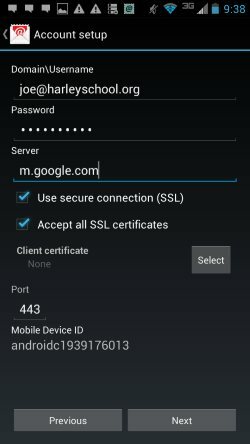 Google has password synching software to keep Active Directory passwords and Google Apps passwords the same. The problem is the software can’t get the current Active Directory password; it can only get the password during a password-change operation. So everyone needed to change their password in order to login to their Google account after the switch. I gave people a little over one month notice with a bunch of emails and even a snail-mail sheet in the back-to-school mailing. Obviously there are people who didn’t do it or waited too long, I was expecting that. I can’t wait to see how many people attack me on the first day of school saying they can’t access their email. I migrated all user data a few times to break it up into manageable chunks. I did the initial migration in early July. 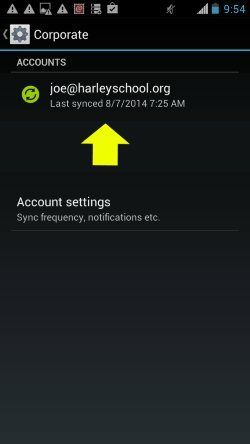 Google imposes a 1 message per second per user throttle when migrating data. I would imagine this is to keep migrations from impacting current customers. A few users had a huge amount of messages and I was actually the biggest offender of all with over 150,000 messages in my mailbox. I have mail back to 2002. Do the math, that’s almost 2 days just to migrate my mailbox alone! And that’s as fast as it can possibly go, it’ll go slower with big attachments. I did the migration again a few weeks before the switch and then again just after the switch to ensure I had everything. The last one took only a few minutes since most of the data had already been migrated. I told people a head of time that we would switch and then I’d finish migrating data, this way they wouldn’t freak out if they noticed missing messages or calendar events. But it wasn’t really a problem since everything was switched over, working and migrated by 7:30am on Monday morning. A few days before the switch I lowered the time-to-live (TTL) on the DNS records that were going to change to 2 minutes. This way I could make the switch and literally 2 minutes later it would be working. Most importantly this allowed me to change it back if something went wrong with only 2 minutes of propagation time. Most DNS system default to 1 full day. Once I was sure everything was working as it should I raised up the TTL again. People are still getting used to this and how to do certain things, but for the most part I couldn’t be happier with how this worked out. What I’m most thrilled about is being able to retire my ancient Exchange Server without spending a dime. Because there are so many different version of Android compiled and customized by so many different manufacturers, it’s impossible for me to make a bulletproof guide with screenshots. These steps are just to nudge you in the right direction. 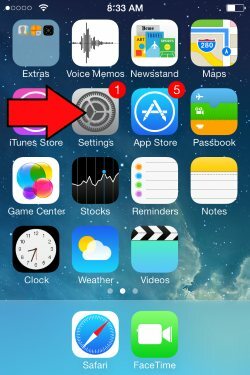 Your device will most likely look different than the screenshots. The screens were taken on a Motorola Droid Razr. 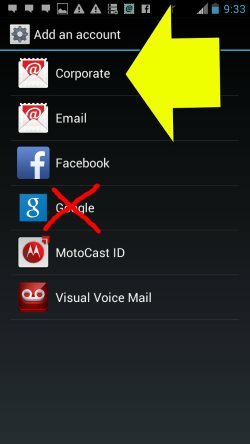 In order to switch from your old Harley mail to your new Google Apps account on your Android device (phone, tablet, whatever), you’ll need to first remove the current account and then setup a new one. 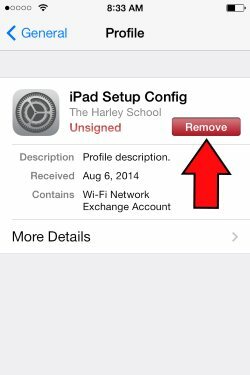 If you’ve never had your Harley mail on your device you can skip down to the add account instructions below. Remember, this is just to give you the general idea, item locations and names might be different on your device. 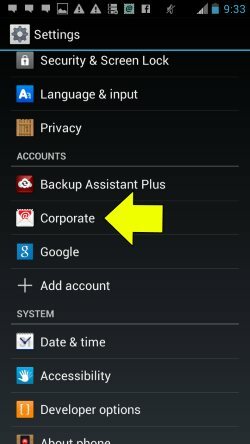 Select Corporate or Exchange, ***NOT Google or Gmail***. This doesn’t make much sense but trust me on this. Enter your email address and password and tap Next. You should be presented with more options. Type your email address as the username, enter your password and enter the server as m.google.com. Make sure Use SSL is selected. Next select all your sync options and you’re all set. Data from your mailbox will slowly start showing up. It might take an hour or so for everything to appear. 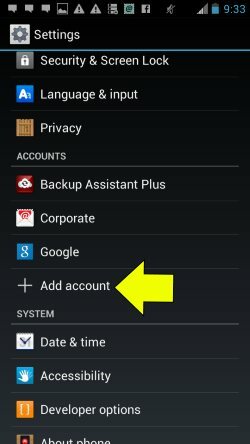 If you setup your Google Apps account as a corporate or Exchange account on the device, it should look and act identical to your old Harley account. 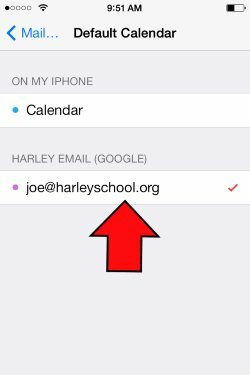 So you already have your Harley email setup on your iPhone or iPad, right? When we switch to Google Apps you will need to update your device to talk to Google’s servers rather than Harley’s. 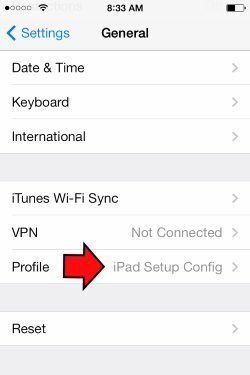 Assuming you setup your iOS device using our mobileconfig generator, you simply need to remove the profile and recreate it. 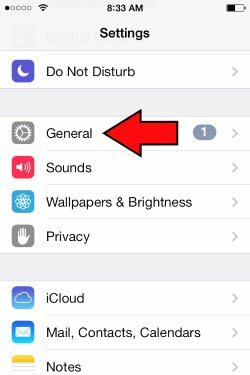 To remove the profile touch Settings ➡ General ➡ Profile – iPad Setup Config and tap the red Remove button. This won’t delete any of your data from your mailbox, only from the device. If there is no profile there, you either didn’t setup your email or did it manually. 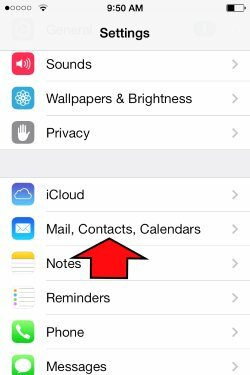 To remove a manual setup, click on Settings ➡ Mail, Contacts Calendars and select the account. Then there should be a delete button there somewhere. 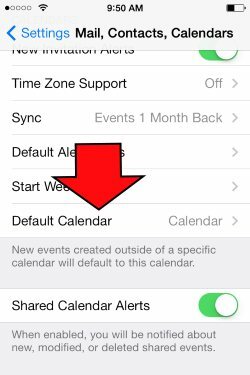 Once you’re setup remember to set your Harley calendar as the default. 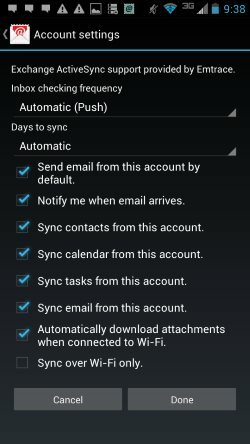 If you don’t and aren’t paying close attention when you create calendar events, they will only reside on the device and not sync to your mailbox. 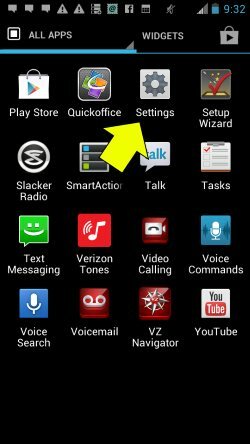 Tap Settings ➡ Mail, Contacts, Calendars ➡ Default Calendar and tap your Harley calendar. 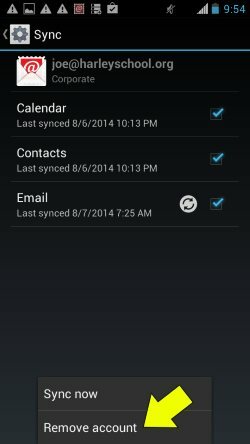 Depending on how many personal email accounts you have, there may be many calendars to choose from. 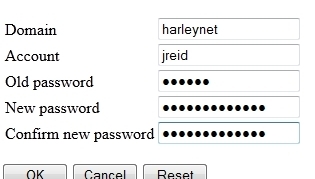 In order to access your new Harley Gmail account you need to change your password. New passwords must be 8 characters or more. They can be any combination of letters (upper or lowercase), numbers and symbols. Even if your current password is already 8 or more characters you still need to go through the motion of changing the password so the synchronization software running at school will see the new password and set it on Google’s end too. If you want to keep your current password just change it to something temporary and then change it back. If you’re in school on your office/classroom computer you can simply hit ctrl+alt+del on the keyboard and select “Change a password…” from the menu that appears. Fill in the new password twice and you should be all set. 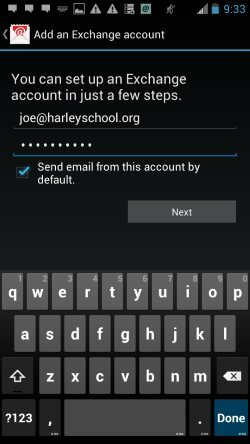 Go to https://webmail.harleyschool.org and login with your current username and password. Fill in the information. “Account” is your username (the part to the left of the @ in your email address), then your current password and then the new 8 or more character password twice. Then hit “OK” and you should see a message about a successful password change. Once the switch has taken place our old webmail site will be unavailable, so you should really change your password a head of time. You can always change it from within school at any time. Our aging email system has been a thorn in my side for a very long time. This summer it finally got to the point where something had to be done. The latest version of Microsoft Outlook included with Office 2013 is incompatible with the version of Exchange Server we are currently running. This left us with 2 options: upgrade Exchange or move to a totally different solution. I’m a huge fan of Exchange as far as functionality, but upgrading would require new hardware, licensing and time. And we’d still end up in the same spot in a few years. We decided to move to Google Apps for Education. This will fix our disk space issues as users each get 30GB of space. It will fix the time/manpower issue as it’s hosted by Google and not internally. It fixes the hardware/cost issue because it’s free. I’m very excited for this switch to happen. I know people will freak out and not want to give up their precious Outlook, but in the end it’s best for everyone.